Get a sneak peek at the action film before it hits theaters next May. "Iron Man 3" will arrive in theaters May 3, 2013. Before Marvel releases the first full trailer for "Iron Man 3" Tuesday, the company is giving fans a 17-second glimpse of what's to come. 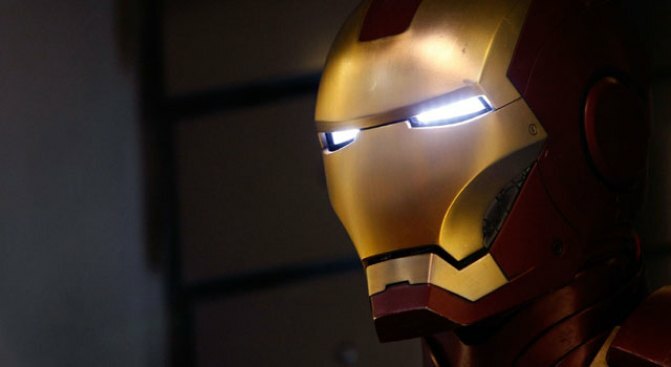 Robert Downey Jr. debuts new suit on Iron Man 3 set! In the super-short teaser trailer, there are a few quick images of Tony Stark (Robert Downey Jr.) walking through a sea of photographers, and then suited up as Iron Man, diving from the sky. Pepper Potts (Gwyneth Paltrow) is also back for the third installment of the action franchise, and it looks like she'll be in a bit of trouble, given the quick shot we can see of her struggling to free herself from some metal contraption. "Iron Man 3" is set to hit theaters May 3, 2013. Take a look at Robert Downey Jr.'s biggest blockbusters!